The first nationally syndicated indigenous columnist for the CBC and advocate for Aboriginal arts, Jesse Wente, will speak on indigenous people in popular culture on Wednesday, Nov. 30, at 7 p.m., in Room 143, Marshall d’Avray Hall on UNB’s Fredericton campus. Mr. Wente is the first in a series of speakers sponsored by the Truth and Reconciliation Calls to Action Committee of UNB. The committee is working across all campuses of UNB to ensure the TRC calls to action are supported and implemented at UNB. “As part of this committee’s work, we are sponsoring a series of speakers for students, staff, faculty and the public,” says Ann Sherman, dean of the faculty of education on UNB’s Fredericton campus. In his presentation, Mr. Wente will look at the history of Indigenous representation in popular culture, from movies, television and video games to sports mascots. He will show how representations in popular culture have been largely skewed by political and colonial ideology and continues to harm Indigenous people. Well known as a film critic and broadcaster in Toronto and across Canada, Mr. Wente was the first nationally syndicated indigenous columnist for the CBC, covering film and pop culture for 20 local CBC radio programs. He has also been a regular guest on CBC Newsworld’s News Morning and Weekend Edition, and Q.
Mr. Wente is Ojibwe and his family comes from Chicago and the Serpent River First Nation in Ontario. 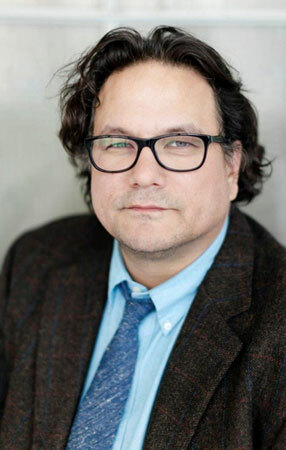 As an advocate for Aboriginal arts, he draws attention to the imagery used by Hollywood in portrayals of indigenous peoples and stresses the need for a culture to have influence on their own depiction. His pieces on The Revenant, Beyonce and sports mascots were among the most shared on cbc.ca. Mr. Wente has been featured in documentaries such Reel Injun, Nightmare Factory and Why Horror? He has served as president of Native Earth Performing Arts, Canada’s oldest indigenous performing arts company for a decade.